I am a historian of early modern and modern Japan with particular interest in the interplay of religious, social, and political dynamics. 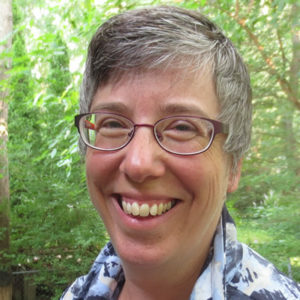 My research and teaching interests include: Shinto, kami worship, and Japanese religion; the Meiji Restoration; samurai and bushido; local and place-based history; the modernization of the Japanese aristocracy; natural resources and the environment; and historical research methods. My current work examines the ways in which the eighteenth-century work on samurai ethics, Hagakure, has been reinterpreted over the centuries, not only as an exemplar of Japanese wartime propaganda but also as an ideal of masculinity, business management, loyalty, and spirituality. Sarah Thal. 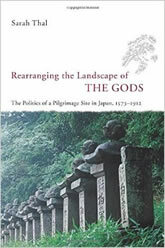 Rearranging the Landscape of the Gods: The Politics of a Pilgrimage Site in Japan, 1573-1912. University of Chicago Press, 2005. “Redefining the Gods: Politics and Survival in the Creation of Modern Kami,” Japanese Journal of Religious Studies, vol. 29, nos. 3-4 (Fall 2002): 379-404.